Destin is home to the finest YEAR-ROUND golf courses. bring your clubs and get ready for a relaxing round. 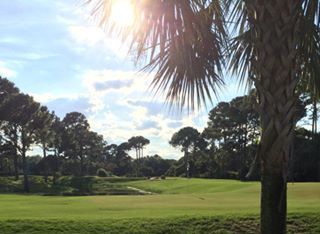 The Seascape Destin golf course will surpass your expectations with 18 lush contoured fairways and immaculate greens winding through the Resort's lush forests and around its tranquil lakes. The course is situated among a series of fresh water and coastal dune lakes and features breathtaking views of the Gulf of Mexico from many holes. Fifteen of the eighteen holes have water features. 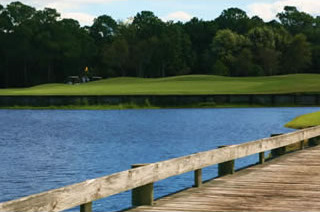 Emerald Bay is a prestigious golf course community centrally located along the shores of the Choctawhatchee Bay. Destin, Florida has long been a vacation destination known for superior golf courses, and that tradition is exemplified in the beautiful Emerald Bay Golf Club. The recently renovated Clubhouse features a full-service golf pro shop as well as The Grille which offers a delicious menu, full bar, indoor dining and an outdoor covered porch with fireplace overlooking the 18th green. Nestled among breathtaking nature preserves along the Choctawhatchee Bay, Regatta Bay Golf and Country Club is a true escape into golfer's paradise. Designed by esteemed course designer and former lead architect for Arnold Palmer, Robert C. Walker, this par-72 course offers an extraordinary golf experience for players of all skill levels. Golf Digest ranked the course among its "Top 200 Places to Play in North America," as well as one of the "Top 15" courses in Florida. Unleash your skill at the Destin, Florida golf courses that have won more than 30 awards from respected golf publications and organizations. Baytowne Golf Club, Burnt Pine Golf Club, Raven Golf Club and the Links Golf Club have been lauded as the best in Florida golf. Enjoy any or all of our four championship golf courses that offer the perfect blend of features and fun. Public. Lighted golf course and ten-acre practice area with ten multi-pin target greens, a snack bar, and pro shop. Includes 9 holes, driving area, and 18-hole putting course. Access to PGA-level instruction, with private & group lessons, as well as clinics for players of all skill levels.